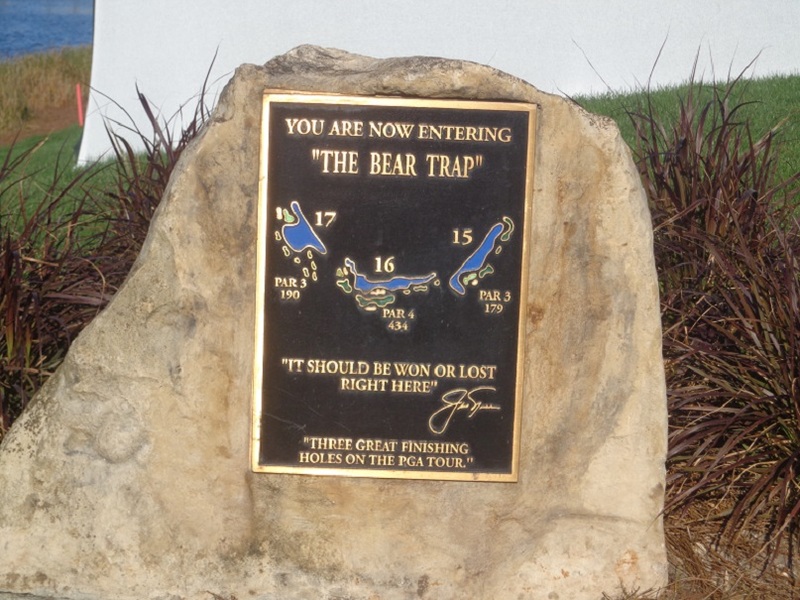 The Bear Trap could foil many a contender at this week’s Honda Classic. (Rory Spears Photo). PALM BEACH GARDENS, Florida – The Florida Swing of the PGA Tour season, which tees off on Thursday at PGA National, has changed dramatically from a year ago. 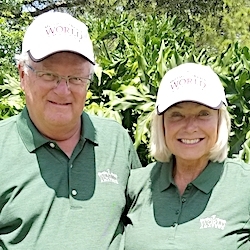 One tournament, known since 2011 as the World Golf Championships-Cadillac Championship, left its home of 55 years at Trump National Doral’s Blue Course in Miami and moved to Mexico City. Another popular event, at Bay Hill in Orlando, lost its charismatic founder and namesake with the passing of Arnold Palmer in September. Those represent big changes in the golfing world. Still, the circuit’s traditional run through the Sunshine State remains a significant part of the season – that time of year when winter starts turning to spring and the bulk of players from across the country warm up to the idea of pulling out their clubs again. First stop of the usual Florida Swing – minus Doral – is the Honda Classic, an event with proven staying power but not quite the field it was hoping to offer. Honda is the longest-running title sponsor on the PGA Tour, dating to 1982. AT&T (Pebble Beach Pro-Am since 1986) is the only other PGA Tour sponsor that started its run prior to the 1990s. 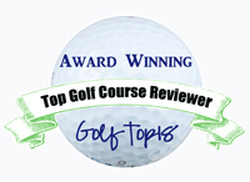 The Honda Classic began as the Jackie Gleason Inverrary Classic in 1972. It’s been played at PGA National since 2007 when long-time Chicago resident Mark Wilson won the first of his five PGA Tour titles. 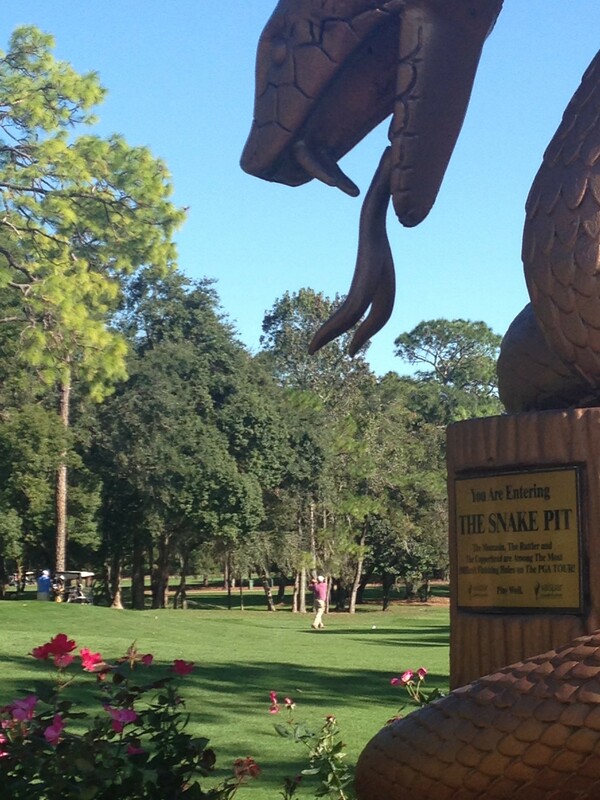 The Snake Pit, at Innisbrook, will be a dangerous stretch of holes for players at the Valspar Championship March 9-12. This year’s tourney figured to be a gallery spectacular when Tiger Woods announced it would be among the first four events on his ambitious comeback schedule. Woods lives in nearby Jupiter, just a 20-minute drive away, and considers the Honda his hometown tournament. Any hopes for a return of Tiger mania evaporated when Woods’ back problems surfaced again at the Dubai Desert Classic. After missing the cut in his first tournament at Torrey Pines Woods withdrew after one unimpressive round at Dubai. He didn’t even show up for last week’s Genesis Open in Los Angeles, an event that benefits his own charity foundation, and isn’t expected at the Honda since his representative, Mark Steinberg, told media members that doctors have advised Woods to “stay horizontal’’ until his back spasms subside. Woods isn’t the only notable absentee for the start of the Florida swing. Dustin Johnson, now the world’s No. 1-ranked player after a run-away win at the Genesis Open last week, isn’t here, either. Neither is Jordan Spieth or Hideki Matsuyama, the tour leader in money and FedEx Cup points earned at this point in the season. Rory McIlroy is back in the United States, but not competing here. Neither is Phil Mickelson, who played the Honda the last two years and stayed around to play in an event at nearby Seminole. The top six in the Official World Golf Rankings are missing, with Jason Day and Henrik Stenson joining the already mentioned Johnson, McIlroy, Matsuyama and Spieth. Bubba Watson and Patrick Reed are also taking the week off. The first Arnold Palmer Invitational without Arnold Palmer could be the most emotional tournament of the 2017 PGA Tour season. That’s not to say the Honda has a weak field. Defending champion Adam Scott, No. 7 in the world rankings, is here as are Sergio Garcia, last year’s runner-up; Paul Casey; Justin Thomas and Rickie Fowler. Thomas, with three wins already this season, and Fowler are both Jupiter residents. Two of the more interesting entrants are Thomas Pieters, the Belgian golfer who tied for second in the Genesis Open, and Ian Poulter, who is rounding back into shape after being sidelined 5 ½ months with foot injury. Pieters, the former University of Illinois golfer who played so well in Europe’s Ryder Cup loss to the U.S. in October, is competing on a sponsor’s exemption. A regular on the European Tour, he could earn temporary PGA Tour membership with another good showing this week. Scores at PGA National figure to be unusually low since the course got a good soaking from heavy afternoon rains that forced the cancellation of the afternoon portion of Wednesday’s pro-am. 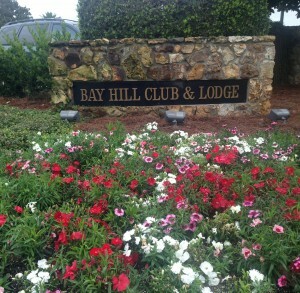 The players will enjoy the soft greens, at least in the early rounds. The Florida swing gets interrupted after the Honda with the circuit going to Mexico City instead of Doral. The PGA Tour dumped Doral after hearing Donald Trump’s negative remarks about Mexico during his presidential campaign. Now, with Trump winning that election, there seems to be a making up period going on. Woods, Ernie Els and McIlroy all have come to Trump International in nearby West Palm Beach to play rounds with the new president. McIlroy visited last Sunday for his presidential round, skipped the Honda and will return to competition in Mexico City. After that event the circuit returns to Florida for the Valspar Championship at Innisbrook Resort near Tampa from March 9-12 and the Arnold Palmer Invitational at Bay Hill March 16-19. Poulter, who lives in Orlando and had ties with Palmer through their connection to tournament presenting sponsor MasterCard, expects the tourney to carry on without Palmer’s leadership. One reason for that could be a boost in prize money. 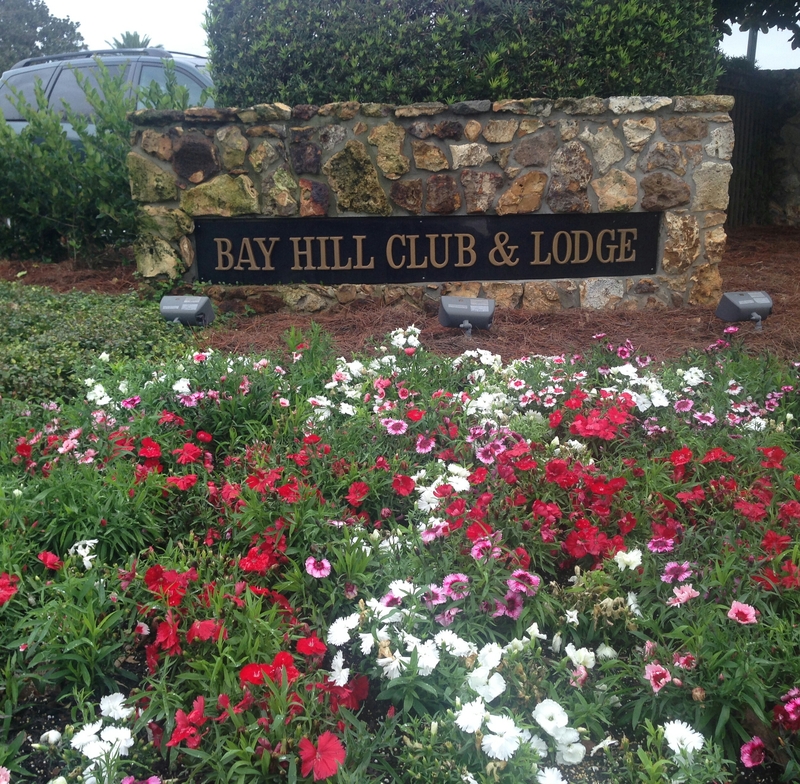 It’s now up to $8.7 million, compared to $6.4 million at the Honda and $6.3 at the Valspar. The World Golf Championship event in Mexico City is at $9,750,000. To offset Palmer’s presence the Bay Hill stop will have five hosts – present or former players Graeme McDowell, Annika Sorenstam, Peter Jacobsen and Curtis Strange – and former U.S. Homeland Security secretary Tom Ridge, a long-time Palmer friend.